December I: Who got what? Next sim -- tomorrow night to finish up December. Lots of offensive records set this year and a lot of fielding lows set this year. I'm not sure what to make of the fielding records, to be honest, as the range appears so different than prior seasons. 1. Hickory became the third team ever to win only 1 game in extra innings (they went 1-6). The 2007 Houston squad remains the only team to go a season without an extra-inning victory. 2. Brooklyn's .833 winning percentage in extra innings (5-1 record) was highest in history. New York's .750 (9-3) and Houston's .714 (10-4) marks were also fourth and tied for sixth highest, respectively. On the other hand, Brooklyn tied 2007 Houston by having only six extra-inning games, fewest in SDMB history. 3. Walla Walla won only 10 one-run games and Danville just 11 last year. Both beat the previous low of 12 one-run wins. 4. New York lost only 7 one-run games, well below the previous low of 14. New York's .816 winning percentage in one-run games (31-7) crushed the previous best of the 2011 Los Angeles squad (40-16, .714). 5. The 64 extra inning games and 233 one-run games in the entire SDMB League were both the lowest ever for the 12-team league. The previous lows were 83 (2009) and 264 (2007), respectively. 6. Highest batting average. Seattle .302 vs. .291 (2011 Seattle). The .293 of River Cities would also have broken the prior record and the .291 of New York would have tied it. 7. Most home runs: River Cities 260 vs. 227 (2011 River Cities). The 228 hit by Seattle also would have broken the record. 8. Most runs scored: Seattle 1016 vs. 965 (2012 River Cities). The 1015 scored by River Cities also would have broken the record. 9. Most hits: Seattle 1733 vs. 1660 (2011 Seattle). River Cities' 1688 and New York's 1679 also would have broken the record. 10. Most doubles: New York 320 vs. 317 (2004 Houston). 11. Most walks: River Cities 723 vs. 694 (2004 Saskatoon). 12. Highest OBP: River Cities .373 vs. .360 (2011 Seattle). Seattle's .370 also would have broken the record. 13. Highest SLG: River Cities .487 vs. .462 (2004 Houston). Seattle's .483 also would have broken the record. 14. Highest OPS: River Cities .860 vs. .819 (2004 Houston, 2011 River Cities). Seattle's .852 also would have broken the record. 16. Most hits allowed: Walla Walla 1679 vs. 1637 (2004 Butte). Los Angeles's 1671 and Saskatoon's 1648 also would have broken the record. 17. Fewest walks allowed: River Cities 308 vs. 335 (2010 Seattle). Seattle's 324 also would have broken the record. 18. Highest BA allowed: Los Angeles .292 vs. .289 (2004 Butte). Walla Walla's .291 also would have broken the record. 20. Fewest assists: Cleveland 1484 vs. 1504 (2010 New York). Saskatoon's 1490 and Los Angeles's 1494 also would have broken the record. 21. Fewest total chances: Hickory 5891 vs. 5939 (2010 New York). Cleveland, Los Angeles, Danville and Saskatoon also would have broken the record. 22. Fewest double plays: New York 84 vs. 103 (2010 New York). River Cities, Los Angeles, and Danville also would have broken the record. Maui's 54-108 record was the "best" worst record in the SDMB League since Covington earned the first pick with a 55-107 record in 2008. The only other year with a better worse record was 2006, when Walla Walla's 65-97 campaign came in last place. As always, feel free to ask any questions about any of the above or any team statistics in the comments. OK, since we have some new people and we're using a new version, and since Yahoo! seems to have fixed whatever problem they were having, I suppose now is as good a time as any to go through the schedule for the offseason. So, what does that mean for the league in real-world time? It means that later tonight (I'll try to push it off until after midnight), I'll be simming the game to 12/1. On Monday, I'll sim the game another two weeks. I'll try to get in three to four sims a week of two weeks each until we hit the draft. On each sim, you can make offers to free agents or other personnel. You can also make trades of course. On a side note, I did notice that the Rule 5 draft is not enabled and, for some odd reason, cannot be enabled. I'm going to look into that further. So I'm not totally sure how things work with regard to free agent signings. Are there multiple sims devoted to offers/counteroffers, or is it just the one? In other words, if I miss the current sim - and I might, because I have a variety of nonsense consuming my time from now until about midnight tonight - will all the free agents be signed by the time I load the new sim? I'm assuming it didn't happen? What's the schedule? Tonight, I'll be simming up to the start of free agency. Last chance to resign those guys who are about to go free. It is just about time for another SDMB off season and after sitting out the next two Cleveland wants in on the fun. First what is up for grabs...All of my draft picks including the #2 or 3 overall pick in the draft. My top SP prospects (including Kaler and Villalpando) and top hitting prospects (including Valenza and Midkiff). Let's just say everyone is up for the right exchange rate. What am I looking for???? I need to fill my weaknesses, LF, 1B, SS and MR. I would also like a front line SP who has some gas left in the tank (at least 3 seasons of quality). We are looking at blockbusters here as close to 5* players as we can get, and I need HR power and mid lineup guys. I look forward to hearing from you and giving you a leg up on your rebuilding or maintaining project. Despite the franchise's splendid, unblemished string of October vacations, Hickory managment has decided to shake things up a bit, as well. So, depending on the response, one or more of the following players - or frankly, almost anyone who suits someone's fancy - will be traded this offseason. These are some of the talents in the game. He's 28, right handed, plays left and center field, runs well, and this year hit .312/.377/.450 with 35 doubles, 7 triples, 6 home runs, 76 runs, and 71 RBI despite missing time to injury. He has a silly name, so we have little use for him here in Hickory. Also, he comes with a $5.5M/year contract spread over the next two years. He's a bargain upgrade for a contender. By the time the new sim is run, Hickory expects to have resigned its veteran catcher to a modest extension. Guzman is aging (he's 33), but his 2013 was pretty effective, by the standards of his position. He hit .282/.327/.400 with 13 HR, 56 RBI, and 63 runs, and stayed healthy as a horse through more than 140 games and 440 at bats as a catcher. He'll be transitioning to a backup role behind Douglas Wolverton if he stays in Hickory, but if a switch-hitting catcher with a 2013 OPS over .720 and a career line of .298/.353/.425 who will play the next two years for less than $1M per would be an upgrade for your team, drop me a line. I am looking, in general, for either: (1) major-league-ready relief pitching; (2) mid-level prospects at any position, but especially pitching; or (3) draft picks. But I'm open to discussion of all kinds, including of players not mentioned above. Danny Lorenzen, George LaBarre, and Paul Shunk are the only three guys who are almost certainly off the table right now. 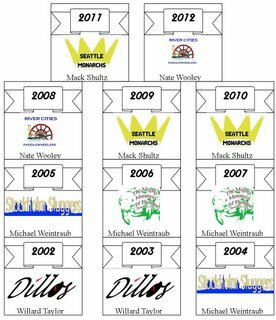 Despite the four titles in five years, the front office of the Seattle Monarchs has decided it's time to shake things up a bit. So, depending on the response, one or both of the following players will be traded this offseason. These are two of the very top talents in the game. I find myself with six starting pitchers who need to be starting in the majors next season. For a variety of reasons, the one I'm most likely to trade is Chad Nelligan. Let's get the small downside out of the way early. He's 34 years old. He was injured for part of the 2013 season. He makes $13.3 million per year. Basically, he's awesome and he's available. When I got him in a trade in 2009, I gave up a 5* starting pitching prospect, two 3* outfield prospects, and another middling starting pitching prospect. I considered it a bargain then and now, four champioships later, still do. Obviously, he's worth less now, but he's a true #1 starter in a league with precious few of them. Once again, due to an embarassment of riches, I find myself with four All-Star quality outfielders. While I'm not excited about it, I think Arant is the person to trade. Again, let's eliminate the downside quickly. He's 33. He makes $12.6 million. He's currently a little banged up, although he played 155 games this year before getting injured in a meaningless game. Upside? He's also awesome. He's stolen more than 70 bases in each of the last four years with a good success rate and will become the all-time stolen base leader sometime next season. He has a career OPS of .862 and a career split line of .317/.400/.462. With his on base percentage and his stolen bases, he's the perfect leadoff hitter. He can play both centerfield and rightfield, although he's better in right according to my scout. I also picked him up in a 2009 trade, sparking my run of titles. He's a 4.5* player and ranked 20th in the game in the most recent OSA list. Arant has won six championships (two with Florida and four with Seattle), making him the winningest player of all time. He's done a lot of good work to earn that distinction too, with a career .810 OPS in the postseason. His contract also only goes through the 2015 season, so again, you don't have the risk of a decline. Why trade these guys? Well, both suffer from position crunches where I have more good players than spots. Also, while I could keep both and keep my team completely intact for another run next season, I could use the financial flexibility that would come with trading one or both of them. In return, I'm looking primarily for draft picks or prospects. I'm perfectly happy with prospects in the low minors, as I don't have a pressing major league need for them. Even with Nelligan injured for a significant part of the season, these two guys combined for 90 VORP in 2013. That's nine wins worth of action right there. If Nelligan's healthy all year, that would be an additional 10-12 wins in the standings from those two guys. That's a big boost to playoff chances, and one that comes with no long-term commitment and risk. So, drop me a line at the usual email address. P.S. If someone wants to make me a good offer for one of my infielders (Gerhardt, Deleon, Alustiza, Bivens), I'd listen to that too, although I'm not as interested in trading one of them. But, I do have a spare there too, so someone may be interested in that upgrade as well. OK, I think we've let Mack bask in the glory of his triumph long enough and now it's time to get moving. On Wednesday, I'm going to sim the league to the award announcements. That sim will be your last chance to make offers to your free-agents to be. On Thursday night, I will sim forward to the point where those are eligible for free agency become free agents (Nov 16 on the game calendar IIRC). 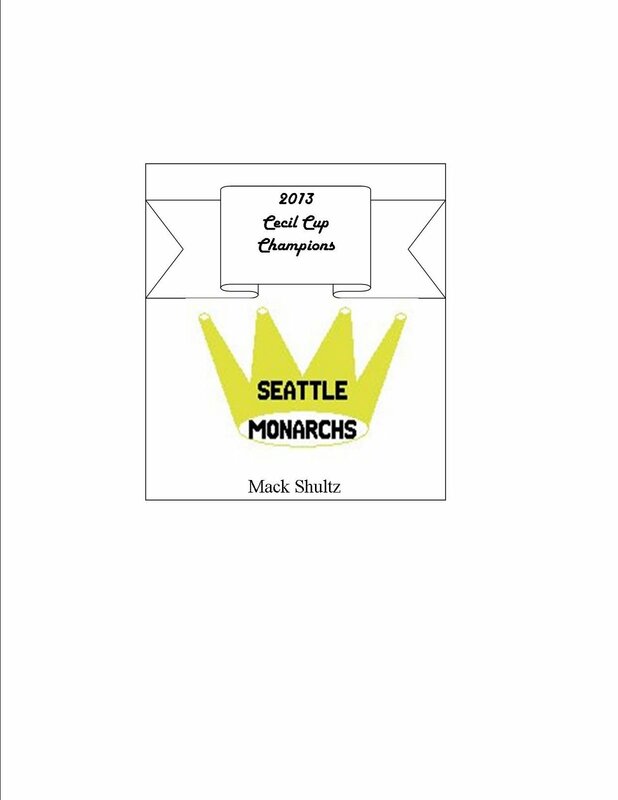 The Seattle Monarchs have made SDMB OOTP League History by capturing their fourth Cecil Cup in a close 2-1 victory. The Monarchs jumped out to an early lead in the first when Duane Gerhart reached first on an error, stole second, stole third and then scored when the next hitter Eugene Alustiza scratched out an infield hit. They added another run in the fifth on a Chad Nelligan sac fly. But New York wasn't going to go down with a fight. After being held scoreless through eight, the Gothams came to bat against Seattle closer Timothy Vallejo, who always makes every ending interesting. After retiring the first batter, Vallejo gave up a double to Marcus Alcazar. A Dion Melendez single brought him home, making it a 2-1 game. Richard Campion hit a sac fly to move Melendez to third. Then, with the tying run only 90 feet away, Vallejo went to work on pinch hitter Robert Pink. Pink fouled the first pitch off behind the plate, but that was the last swing that any hitter would make in the 2013 season. Pink stood with the bat on his shoulders as Vallejo sailed two more strikes by him to end the game and secure the Cup for the Monarchs. Congrats to Mack on a season well played!!! Michael and I will work out a schedule for the off-season and we'll publish it shortly. New York kept their hopes of winning the Cecil Cup alive today with a 7-3 win over Seattle. Seattle jumped out to a 1-0 lead in the fifth with a solo home run by Alberto Granado. The Gothams answered right back in the bottom of the fifth with an RBI single to right-center by Herman Gossard. If New York goes on to win the series, many fans will wonder if Seattle's removal of Hester for a pinch hitter (who hit a pop fly) in the sixth was justified. This is because with Hester gone, New York started in on the Seattle bullpen. First baseman Brian Palazzo hit an RBI single off of Monarch reliever Joseph Macaluco in the bottom of the sixth to give the Gothams a 2-1 lead. The Monarchs pulled ahead in the top of the seventh on Dong Lutz's RBI double and Carmelo DeLeons line drive RBI single. But the Seattle bullpen just couldn't hold on to the lead. With Malacuso on the mound, Marcos Alcazar hit a one-out single to center, followed by a two run Herman Gossard dinger to left. That knocked Malacuso out of the game and brought in Robert Gibson, who didn't fare much better against the New York bats. Mohammed Stelly came up and hit a long double to center. The next batter, Richard Bilbrey hit a line drive single to center to score Stelly. Bilbery later came home on bases loaded walk to Brian Bingham, to give the Gothams a 6-3 lead. New York added another run in the eighth when they strung together three singles off of Gibson. The series continues tomorrow night with Game 5, where the expected matchup is Jimmy Matthias throwing for Seattle and Isaac Diehl pitching for the hometown New York Gothams. Uh-oh, cries this junior commissioner. My record of four Cecil Cup championships, as well as the only sweep in Cup history, is in imminent danger of being matched. 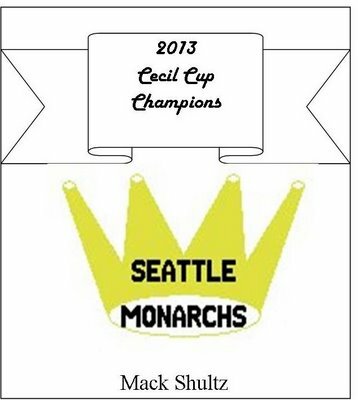 Yes, the Seattle Monarchs have defeated the New York Gothams yet again, this time 8-1 in game 3 of the 2013 Cecil Cup. Seattle leads the series 3-0, and can clinch their record-tying fourth Cecil Cup on Monday night, when everyone's favorite SDMB League commissioner, Zev, takes the helm again. Chad Nelligan had his stuff in full swing tonight, as he threw six innings of two-hit ball to lead Seattle to a 5-3 victory over the Gothams in Game 2. Nelligan moved down one Gotham after another, allowing only a single in the second, a double in the fourth and a pair of walks in the sixth. Only one Gotham reached third against Nelligan. When he was lifted for a pinch hitter in the sixth, the Monarchs were up 5-0. New York started chipping away at that lead once Nelligan was out of the game. The Gothams got one in the seventh off of Rodriguez, another two in the eighth off of Stoker and Davis. The Monarchs brought in Vallejo to close things out in the ninth, but it wasn't a lights out outing. Despite coming in with a two-run lead, Vallejo managed to bring the winning run to the plate. But when it came to crunch time, he managed to strike out Gossard and get Stelly to fly out to close out the game. Mike will do Game 3 over the weekend and will announce the schedule. I'll run Game 4 on Monday night. Cecil Cup veterans Seattle Monarchs, paced by Carmelo Deleon's 3-for-4 day, defeated newcomers New York Gothams 5-4 in the opening game of the 2013 Cecil Cup. Zev informs me that he's re-fitting his commissioner's hat and will take over from here on out. Game 2 will be Thursday evening. The league file is up. 1. Home teams won 52.2% of the time. That's the highest figure since the 2003 season, which I think was played under version 5 of the game. 2. There were only 64 extra inning games (or 10.3 per team), the lowest figure by far. The previous low was 83 and the total was usually in the 90s. 3. A lot fewer one-run games too: 233 (19.4 per team). The previous low was 264. 5. On the other hand, walks, strikeouts, and steals all fell within prior ranges. 6. One possible explanation for this offensive explosion is that BABIP substantially increased. This version of the game doesn't seem to give team or league BABIP figures, but my proxy calculations show a BABIP of .317. Until this year, league-wide BABIP always ranged between .284 and .295. 7. Although fielding percentage remained roughly constant at .981 (all league years are between .981 and .983), the percentage of unearned runs (of total runs) rose to 10.00%. The prior range was 8.30% to 9.60%. I'm not sure what the explanation for this is. I'll do a post on team records later, but I thought these changes were interesting and worth sharing. P.S. One of the offensive numbers from 2003, when corrected for the change from 8 to 12 teams, is more than this year's results. There were 1,433 home runs that year, which equates to 2,150 in a 12 team league. LCS Game 6: Down go the champs! Game six in the LCS has come and gone, and our Cecil Cup combatants have been revealed. Representing the Adams League is perennial champion Seattle Monarchs, winning the league for the zillionth time in a row, four games to two against the valiant Brooklyn Wolves. The final game was 7-1 for the Monarchs, as the dreams of the Brooklyn nine were vanquished by the arm of Ronald Placencia. Earlier, in the Zotti League game in River Cities, the home team couldn't defeat the New York juggernaut, as the road team finally won a game in the series. Unfortunately for the defending champions, the road team was the New York Gothams, and they are the new Zotti League champions. They won 8-5 and punched their ticket for their first appearance in the Cecil Cup. Now that Zev's team was eliminated, I'll give the reins of the league back to him (if he wants). * It's been fun, everyone! The league file is now up. * If Zev wants to let me keep running the rest of the postseason, game one of the Cecil Cup will be on Wednesday night. All right, after a long weekend delay, game 5 in both LCS is in the books. Over in the Adams League, perennial AL champ Seattle is now one win away from the Cecil Cup after thrashing Brooklyn 10-2, in what could be the Wolves last home game of the season. The other New York team fared better, however, as River Cities fell 4-1 to the home Gothams. The Paddlewheelers will have to win both remaining home games in the series to take the Zotti League crown. Seattle and New York lead 3 games to 2. I've simmed the travel day as 100 baseball players have left New York, and game 6 will be simmed on Monday night. Go and download the league file, everyone! LCS Game 3 -- New York, New York! It's party time in New York tonight as SDMB league OOTP playoff fever came to the Big Apple for the first time, and both home teams withheld their favored opponents by identical 9-3 scores. In the Adams League, Seattle's owner Mack Schulz's worst dreams are coming true as Brooklyn storms ahead two games to one, while River Cities maintains a two-games-to-one lead over New York despite losing. Brooklyn ties it up! River Cities is halfway to the Cup! The Adams League championship is all tied at one win apiece after Brooklyn took back home field advantage in a 6-4 win over Seattle. Meanwhile, in the Zotti League, River Cities took control of its series with a 7-4 victory over New York. Will Brooklyn sieze upon its new momentum as the series moves east? And, with the excitement in the city doubled as the Gothams return home, can they catch the defending champs? Time will tell, as game 3 will be simmed on Wednesday night. I've simmed the travel day, and the league file is up, so we're all set to go. First: Thank you Time Machine! Your humble junior commissioner made a very junior commissioner mistake and accidentally simmed two games, and not one. I had to dig into my Time Machine backup to get the league file from two hours beforehand, and then redo the sim, to be fair. The initial games in the ZL and AL championship series are played. The league file is up. In the Adams League, Seattle stomped Brooklyn 14-0. Just a good, old fashioned, "welcome to the postseason, kid" thrashing that may set the tone for the rest of the ALCS. Over in the Zotti League, River Cities welcomed New York to the playoff with a nearly-as-convincing 10-5 beat-down. Games two will be simmed on Tuesday. And, for the rest of us schlubs not fortunate enough to get beaten soundly by Seattle and River Cities, I am importing all team updates, not just the four semi-finalists, so if you have any roster moves, feel free to upload them. River Cities won the ZL regular season title with a convincing 11-3 victory over New York. River Cities won the honor of having home-field advantage in the ZL Championship series, which will pit these two teams against each other. Game one of the ZL and AL Championship series will be simmed on Monday night. The current league date is 10/7, one day before the start of the series because a few of the remaining teams have more than 25 players on their active rosters. So, Zev, Mack, Nate, and Paul: Congratulations for making it this far, and good luck. Please upload your rosters by Monday evening and I'll run the sim around 9pm EST/6pm PST.